In a large skillet, brown the turkey until cooked through, about 7 minutes. 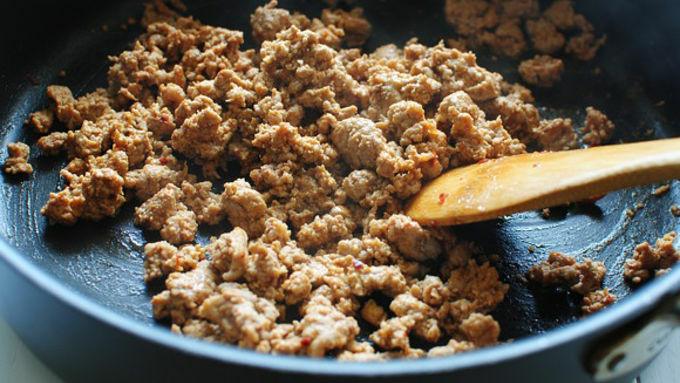 Add the taco seasoning and salt. Cook another minute, until fragrant. 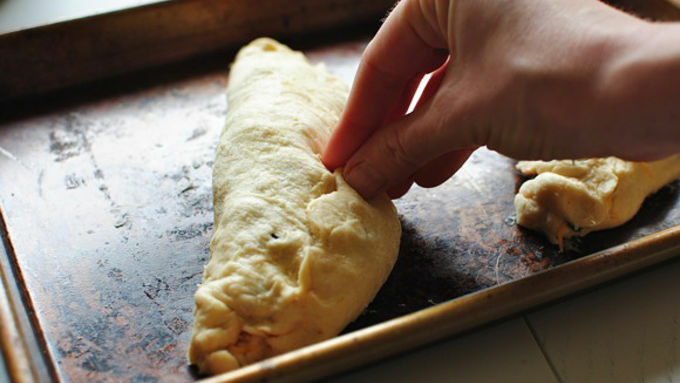 Unroll the crescents two at a time, keeping them in a rectangle. Press the perforated edges together. Spread a little of the refried beans along half of the crescent dough. You can spread it diagonally to make triangle calzones, or on the lower half to make square calzones. 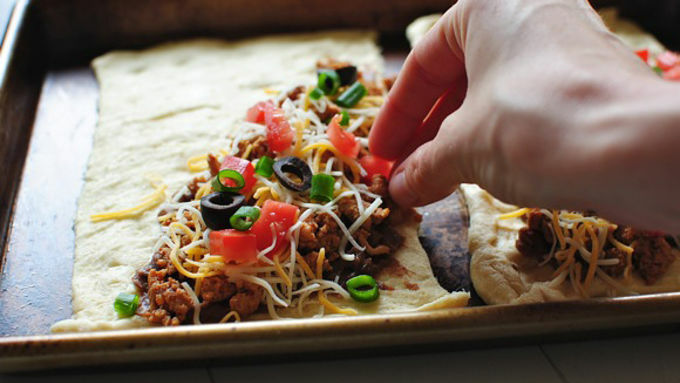 Top with the seasoned meat, shredded cheese, tomatoes, olives and scallions. 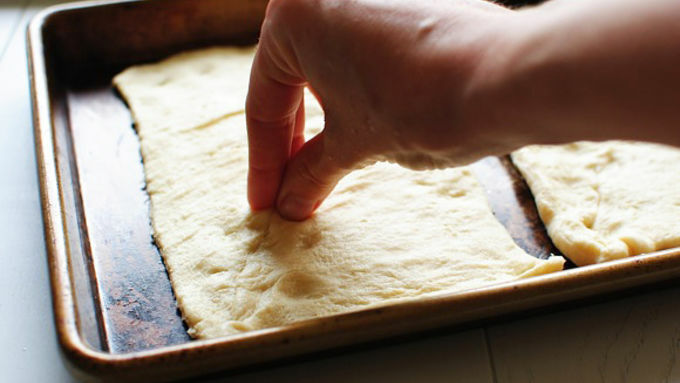 Fold the remaining dough over and pinch to seal, enclosing the filling. Bake for roughly 15 minutes, or until the dough is cooked through and golden brown. 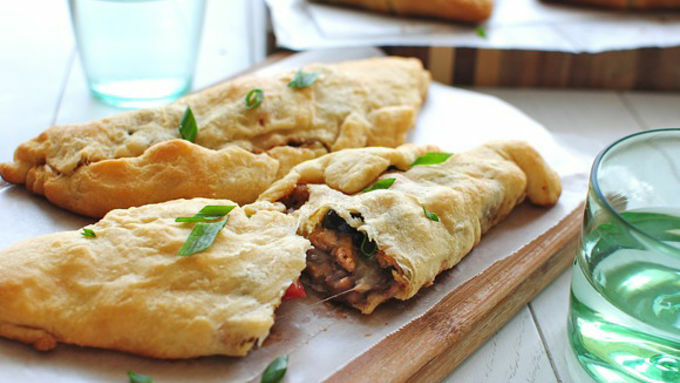 Tacos stuffed in crescent rolls. Really? Remember those taco parties at your local Mexican restaurant when we were kids? Remember those? Weren't they so fun and awesome? I KNOW. This has nothing to do with that. I just like strolling down memory lane. But how amazing would it have been if the tacos . . . were stuffed in . . . crescent rolls? It already hurts, doesn't it? Thing is, we don't even have to imagine it. It doesn't have to be a fake memory in our souls. We can make it happen NOW. Why is life so magical? Let's do this.